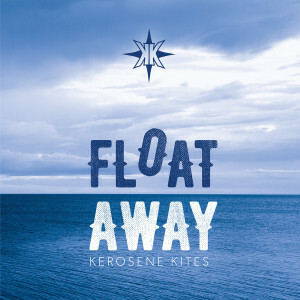 Kerosene Kites will celebrate the release of Float Away on Thursday, November 30 at 7:30 PM – 9:30 PM at the Brink Lounge. You can pick up a copy of Float Away at the release party or by going here. What started out as a duet assembled around a holiday release has blossomed into a fully-charged band comprised of some of this area’s sharpest players. 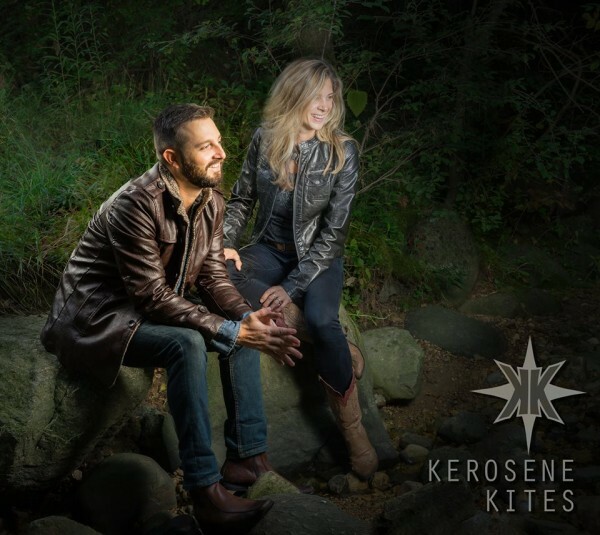 The sheer quantity of output of both Erik Kjelland and Beth Kille is enough to make one wonder how they find the time to take on a project like Kerosene Kites but there’s always been a restlessness running underneath their respective skins. Not that they are changing their sound, style and delivery to any degree; it’s still Beth Kille and Erik Kjelland. More like moving the furniture around, gleaning new inspiration from the same living room. The cast of supporting musicians (Kille and Kjelland handle all vocals) is substantial: Gabe Burdulis adds tone-drenched electric guitar, Art Ranney holds down the bass, Kille’s old mate Jim Smith plays drums while fellow songstress Shawndell Marks plays keys. Wheelhouse’s Kenny Leiser also appears on violin. This is a house made of bricks and should make for an enthralling live show, one that their legions of fans will likely savor. “House of Cards” is easily the most pop track, a radio-ready tune with a slick guitar hook courtesy of Burdulis and where we hear harmonized background vocals that are employed elsewhere on Float Away. The Kites produced a video for the tune that was put out as a teaser for the album release. It’s a terrific slice of songwriting and arranging although it feels like it ends abruptly, leaving the listener wanting more as good hit songs do. “Stars” is a different approach for these two yet doesn’t stray from their fundamentals. There are more keyboards, a thicker, more substantial bed of an arrangement in which they lay the vocals down. And they sing in more hushed tones, shedding some of the earnestness. “We could be black holes or we could be stars.” These stars are star-crossed, however, and the song is equal parts rising above while taking substantial risk and making fateful decisions. It’s a kind of cool groove that breaks some new ground. Burdulis’s tremolo guitar is particularly effective against elegant keyboard washes. “Here and Now” bears a familiar Kille sound but Burdulis works magic on the guitar. The bridge in this one is probably the finest transition they’ve ever accomplished in their already storied ability to craft songs. Leiser brings his own magic to two of the albums ballads. Kille’s “Hey Stranger,” which boasts heartfelt lyrics with a slight country lilt. “We look upon the past / through a window with a stubborn latch / We can gaze upon it / We can’t ungrow the grass / So baby draw the blinds / I’m not living in denial / And you don’t need to stand another trial / I won’t make you stand another trial.” A powerful statement of love made from a woman built of solid strength. Kjelland’s “Beatutiful Shore” brings out his finest talent, that of the poetic minstrel. “I just can’t remember what the fighting was for / Caught up in the waves of some forgotten civil war / You were hiding from the storm and I was grasping for more / Always out of reach / from the banks of your beautiful shore.” This track is simply a fine bit of production. Kille in particular has advanced significantly in this area, running her own recording studio, engineering and producing. The combination of these skills between the two are formidable. Here the placing of the instruments is near perfection, each having something to say while Leiser spreads on a layer of grace. The backup vocals are effective but placed in the background to ghostly effect so as not to overwhelm the main thought but to subtly reinforce it. A very moving song right down to the sizzling ride cymbal that fades away at the song’s end. Brilliant. It’s amazing that after so many recordings, maybe close to twenty now, that Kjelland can still produce such gems. Leiser also lights up “Outrun the Train” where fictional Tommy dies in a ball of flames trying to beat a train across the tracks. The engine whistle-like “oo-oo’s” in the intro and outro along with the locomotive drum pattern effectively embellish the story. The album closes on an optimistic note with Kille’s “Memory Waiting to be Made,” a languid acoustic guitar ditty that sounds like lying on your back in a field on a sunny summer day, taking in the clouds. Like “Stars,” this track explores different territory. A very fitting, mood-lifting close to a fine album. It’s clear on examination that many of these songs have common, relationship-based themes: overcoming obstacles, rediscovering commitment, fighting through disagreement while keeping the eye on the prize. It’s apparent that Kjelland and Kille have drawn together in this purpose, to bring the sum of their tribulations to greater understanding. It’s a personal examination undertaken together and that gives Float Away a humanistic quality that lifts both creator and receptor. That’s likely to translate well in live performance, especially with such a crack band. Which is the kerosene and which is the kite? In the end equal parts fire and air.